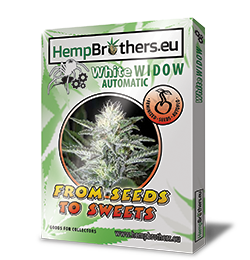 White Widow Automatic is a classic White Widow, known for its high potency and resin-coated flowers. Genetically, it’s a cross between the old-school Brazilian Manga Rosa and the Heavy Indica. The result is a crop that’s not only easy to grow but also highly efficient. A cross between the fruity sativa and skunk. This combination gives rise to a highly potent and flavoursome automatic known for its stimulating high and orange aroma. 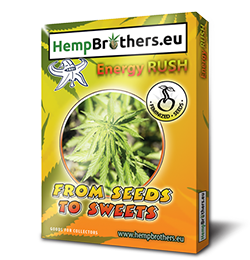 Energy Rush is a strain of sativa, whose resiliency and short flowering time make it ideal for both beginning and experienced growers. 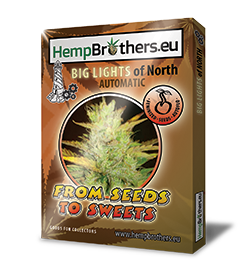 Big Lights of North can reach 130 cm in indoor conditions and up to 170cm when cultivated outdoors. Despite its generous height, it has a dense bud structure coated with a thick layer of resin. A cross between Northern Light and Big Bud, the plant is known for its intensely sweet pineapple-citrus aroma as well as high resilience and yield. 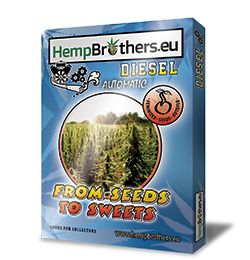 This strain has the highest medicinal value out of all autoflowering strains produced by Hemp Brothers. 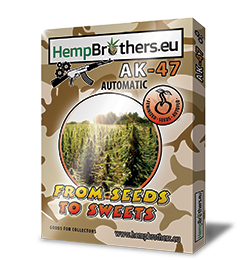 AK-47 is a perfect combination of the Columbian, Thai, Mexican and Afghan genes, which results in a beautiful citrus-flavoured indica. Despite its scary-sounding name and high potency (>20% THC), the plant will help you stay awake and creatively active. 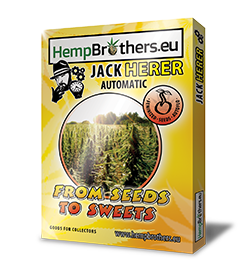 An autoflowering successor of the award winning Jack Herer crossed with the Canadian strains. It’s a quick to grow variety characterised by high resin production and a skunk aroma. This variety is typically used for medicinal purposes and is known for its quick harvest time in outdoor conditions. This strain’s genetics is mostly indica with some sweet sativa genes. The latter are responsible for the fresh and juicy fruit aroma of Diesel Auto. Don’t be fooled by its invigorating aroma, however. In reality, it’s a very potent indica that will get you stoned in no time. The plant usually grows to 70cm tall. It’s advised that the LST technique be used to maximise the yield. Amnesia Auto is suitable for both indoor and outdoor cultivation and can reach up to 120cm of height. High yield, as compared to other autoflowering strains, more than compensates for the longer flowering period. The combination of Cindarella 99, the aromatic Skunk and the energising Jack Herer results in resin-rich flowers and a sweet citrus aroma which matches the invigorating effects of this strain. A higher dose of Amnesia Auto will make you experience true memory loss. 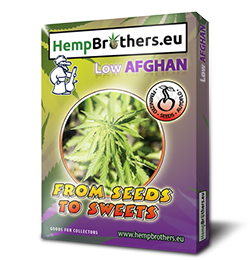 Low Afghan is a 100% indica carefully selected from the Kush strains cultivated in the northern Pakistan. The strain’s genetics makes it potent and quick to grow. It’s also very resilient to extreme conditions, which makes it ideal for outdoor cultivation. Same time, however, it thrives indoors. Low Afghan usually grows from 40 to 80cm tall with its branches extending far out laterally- a common feature of all indicas. Its flavour and effects resemble those of Afghan Hash- the characteristic aroma and deep stone it produces are bound to satisfy the most demanding indica enthusiasts.